When most people think of tequila - they think of the burn, the lime & the salt, immediately transported to heady Uni days in Liquid & Envy. But times-are-a-changing, and the introduction of the new extra añejo category in 2006 is a reflection of the shift in opinion of agave spirits. The current thirst for premium & aged products created a gap in the agave category, and thanks to refinements in agave cultivation, distillation techniques, and barrel fermentation innovations - tequila has developed a sophistication and earnt its rightful place alongside serious bourbons, Cognacs, and single malt whiskies. Before the introduction of extra añejo, there were only three categories of tequila: the unaged Blanco, the ‘rested’ reposado which is aged for two to 11 months and the ‘old’ añejo which is barrel-aged for a year or more. Maestros tequileros (master distillers) tend to keep a few barrels ageing longer than required, more for curiosity than anything else, but this practice became so widespread that in March 2006, the Consejo Regulador del Tequila established an additional category for these super-aged tequilas, named extra-añejo. The rules of this new specification required a minimum ageing of three years in oak barrels, but that was where the rules stopped - leaving a lot of the process up to the distiller. This freedom has resulted in a range of exciting approaches to this relatively new category, particularly around the type of cask used for ageing - and for tequila drinkers, these inflections make a huge difference. But it’s not just tequila drinkers that are buying into this new category, in fact, many tequila purists are arguing against the intense ageing as tequila is such a delicate product and therefore vulnerable to the woody flavours that come with barrel ageing. These flavours aren’t natural sidekicks to the spicy herbaceousness that tequila naturally boasts and the caramel and vanilla notes imparted by the wood can quickly take over the agave. But these interesting (and familiar?) flavour dimensions are recruiting a new type of drinker to the category… whisky drinkers. Like whisky, the colour of an extra-añejo tequila can range from deep gold to burnished mahogany, and the flavour profile has the citrus elements from Scotch on the nose and Bourbon on the palate. Extra-añejo is tequila shaking off its party persona - a growth spurt into adulthoot - and a move that evokes craft and luxury but above all else creativity that’s not shackled with tradition - the longer the drink stays in the oak barrels, the more dramatic the change on the flavour and colour and the more intense the differences in taste. 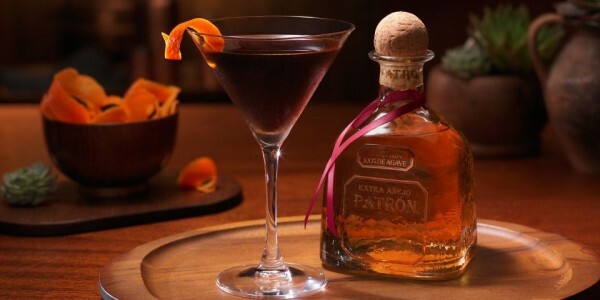 it has been a quarter-century since one of the world’s biggest tequila titans, Patrón, has rolled out an extension on its iconic core line - and in 2017, it launched an Extra Añejo. This complex, versatile and sophisticated ultra-premium category is here to stay.